- Adam James is ‘Home From Home’ on BBC One at 9:30pm on 20th April. 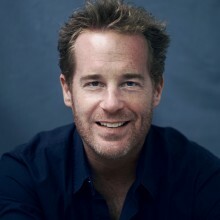 - Adam James joins the cast of ‘The Girl from the North Country’ in it’s much anticipated West End transfer. - ‘Adam James’ Returns for the second series of ‘Doctor Foster’ arriving on our screen’s at 9pm on the 5th September airing on ‘BBC One’. - ‘King Charles III’ Premieres On BBC One On 10th May At 9pm With Adam James reprising the role of the Prime Minister. - Adam James Stars in ‘Doctor Forster’ On BBC One at 9pm on Wednesday. - Adam James has started 2015 with a bang as he stars in ‘Bull’ at the Young Vic. Adam James is a London based actor. Adam is currently shooting the second series of “Deep State" for Fox TV/Epix. This October Adam can also be seen alongside Emma Thompson and Rowan Atkinson in the latest instalment of the Johnny English franchise, playing Pegasus the head of MI7, in “Johnny English Strikes Again”. You can also catch him in another action feature “Hunter Killer” alongside Gary Oldman and Gerard Butler later in the year too. Since graduating from the Guildhall School of Music and Drama, Adam has worked consistently in TV, film and on stage with notable appearances in Band of Brothers, Extras, Ashes to Ashes, Hustle, Dr.Who, Road to Guantanamo and Last Chance Harvey. He is the winner of the Lucille Lortel Award for his performance in "The Pride" in New York for which he was also Drama Desk Nominated. Other nominations include "Best Newcomer" for the Manchester Evening News Awards and "Best Supporting Actor" for both the What's on Stage Awards and the David di Donatello Film Awards.